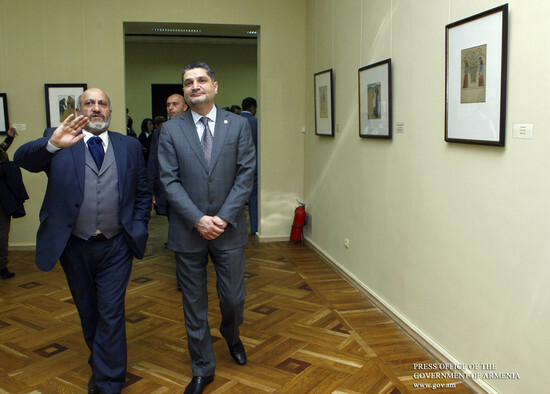 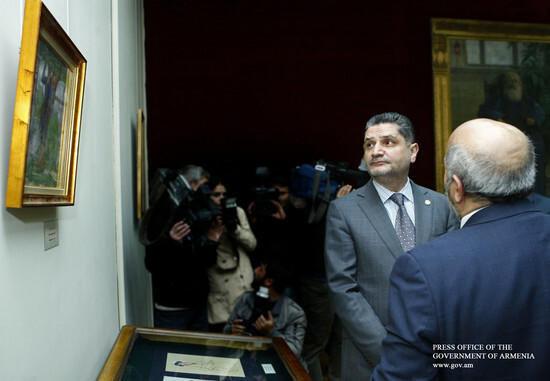 Head of the government commission on 150th anniversary of Vardges Sureniants Prime Minister Tigran Sargsyan attended today the opening of an exhibition dedicated to the 150th anniversary of famous Armenian painter Vardges Sureniants in the National Gallery of Armenia. 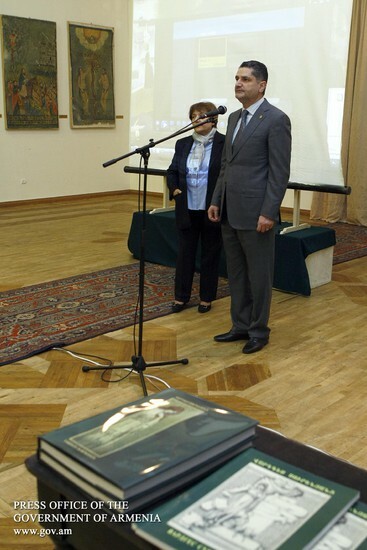 3 presentations were made on the sidelines of the exhibition: a film about the master, a scientific catalog featuring his drawings and an album of his works kept in the National Gallery of Armenia. 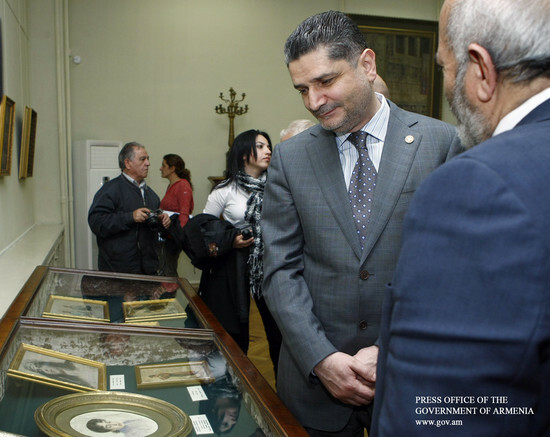 The exhibition featured over 200 pieces on display in the National Gallery, as well as documents, records, correspondence, handwritten and other archival materials kept in the Literature and Arts Museum after Yeghisheh Charents.